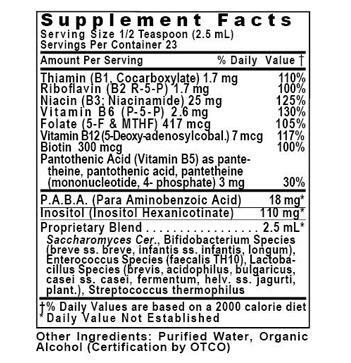 For this popular fermented vitamin B complex formula, we have added niacinamide. The amounts of PABA and inositol hexanicotinate have been reduced. In addition, our proprietary fermentation method now includes Organic Molasses. Nutritional yeast and olive oil have been removed for optimal health.